Serviceman’s Graves located within Ramsey Cemetery. 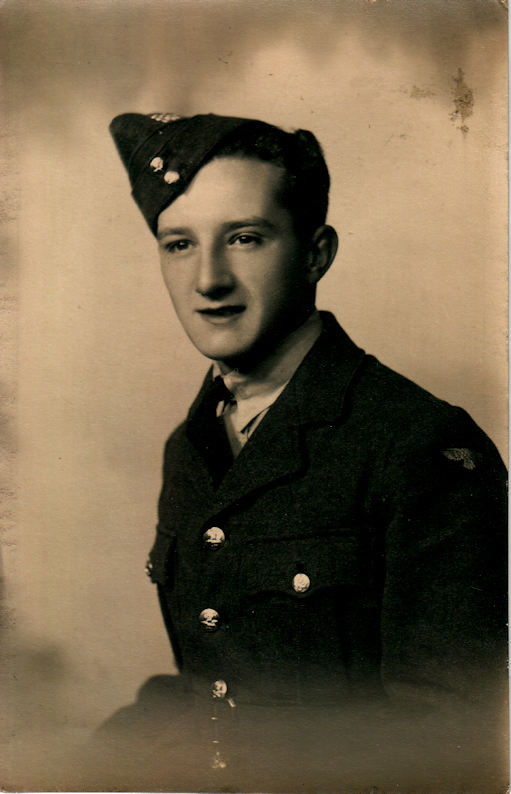 Sergeant (Wireless Operator/Air Gunner) Royal Air Force Volunteer Reserve. Son of Alexander and Annie Barr, of Coleraine, Co. Londonderry, Northern Ireland. Plot L. Grave 243. Sergeant (Air Gunner.) Royal Air Force Volunteer Reserve. Son of Ernest and Hilda N. Bowd, of Ramsey. Plot P. Grave 56. Date of Death: 09/02/1919 Service No: 395442 Plot J. Grave 69A. Son of Charles William and Bessie Mae Bush, of Carbondale, Illinois, U.S.A. Think what a son should be - he was that. Plot L. Grave 226. Son of James Ernest and Effie Corr, of Terenure Dublin, Irish Republic. Art Teacher's Diploma. Plot L. Grave 242. Son of John Edward and Anna Davies. Age: 24 Date of Death: 04/08/1940 Service No: 525887 Plot M. Grave 357. Private 3rd/5th Bn. Bedfordshire Regiment. Son of Henry Greenwood, of 10, Field Rd., Ramsey. his 3 brothers John, Harry and James Percival also died in service. GREENWOOD, Harry – Private – 203249, ‘C’ Coy. 3/5th Bn. Bedfordshire Regt. Son of Stephen J. Lang and Elizabeth M. Lang, of Cicero, Illinois, U.S.A.
Gone but not forgotten. Plot L. Grave 225. Date of Death: 11/09/1916 Service No: 20801 Plot N. Grave 14. Husband of Florence A. E. Mason, of 19, Station Field, Ramsey. MASON, Arthur – Private – 202368, ‘C’ Coy, 3rd Bn. Royal Welch Fusiliers. He was the son of John & Sarah Jane MASON of 32 Star Lane, Ramsey, was stationed at Limerick, after having served for nearly two years at the Front where he had been gassed. He died of influenza at Limerick Military Hospital on Wednesday, 13th November 1918, aged 25 years, and was buried in Ramsey cemetery. He left a widow Florence Annie Evelyn (nee STOKES) MASON who he had married on 11th October 1917, living at 19 Station Road, Ramsey. Son of Mrs, Sarah Jane Greenwood, of I, Princes St., Ramsey. Age: 36 Date of Death: 25/08/1943 Service No: 14596928 Plot B. Grave 926. Service No: P/JX523942 Plot P. Grave 71. Service No: 748214 Plot L. Grave 229. Son of David and Jane Elizabeth Stokes, of 1, High St., Ramsey. Plot M. Grave 76. Service No: 999616 - Son of James William Tinker, and of Ethel Tinker, of Sheffield. TIS NOT THE DUTY OF THE DAY - THE RACE YOU HAVE TO RUN - BUT THE THING YOU NEEDN'T DO - EARNS THE GREAT WELL DONE. Below is a transcript of the last letter he wrote home. Usual - Monday. “Dear Betty, Many thanks for your letter which I was very pleased to receive. I shall be very pleased to hear from you any time you like to write and I will reply, even if it takes me a long time. Well all being well I should be seeing you in about a week’s time now, we are due to leave here this weekend and then we should get some more leave. We’ve finished the course, and although we shan’t know officially until Friday when we shall get our stripes and brevets, our instructor says I’ve passed fairly well, about 80%, second in the class, so I shall be sergeant next time I see you. I’ve been ill these last two days, stomach trouble, I couldn’t eat anything for a day and a half and yet I was sick and retching all the time, I’ve eaten a little today but the old tummy is still unsettled and I’ve had a rotten pain there for 2 days, the M. O. says there is nothing wrong with me. Well enough about my troubles, so Dinkie is getting awkward is he he’d better be a bit cleaner before I get home, or I’ll wash him. Thank Stan for the Ronsonal will you. Stan will be alright when he has to go with all the woollies, by the way, those gloves mother knitted went purple when I wore them coming across on the boat. There is a chance I may get on night-fighters when I leave here, I shall try anyhow, in any case we shall probably go to O. T. U. for a few weeks. The weather here isn’t too bad, fairly windy, but bright and sunny. I hope it’s nice when we go back on the boat. Well Betty I don’t think I have much more to say so I will pack up, remember me to Stan and the family and look after yourself, love to mother. Betty is his sister and "Dinkie" was the family cat. - Many thanks to Suzanne Howarth who is James Tinker's great niece for the photo and transcript of his last letter home - and for permission to place it here so that he is not forgotten. Wejman - B Plot N. Grave 219. Son of Charles and Mary Ann Wilson, of Ramsey; husband of Ivy Wilson, of Ramsey. Plot N. Grave 219. Son of Emily Zavadowsky, of Hamilton, Ontario, Canada.